The President’s Office of Strategic Affairs was created in July 2016 with the recruitment of Ramesh Sachdeva, MD, PhD, MBA, JD, as Senior Vice President of Strategic Affairs. This department is intended to support the strategic priorities of 'One University.' Two primary functions—Analytic and Implementation—are identified related to resources and support of the institution's mission and vision. The President’s Office of Strategic Affairs will have staff with expertise in advanced data analysis and structured decision making. 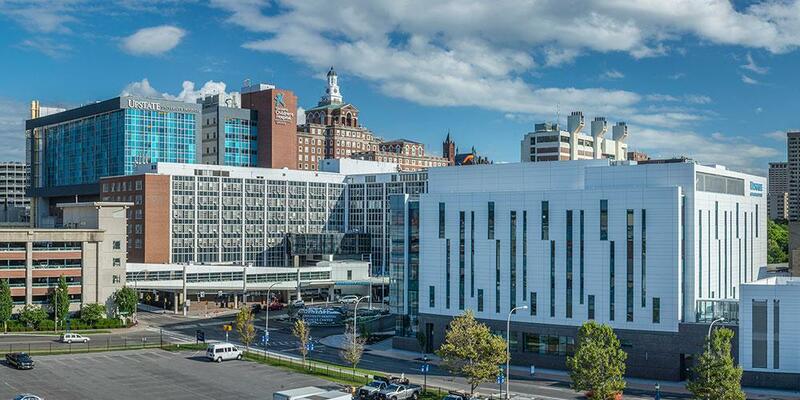 These individuals, working with leadership across Upstate Medical University, will identify strategic priorities and growth opportunities, develop business plans, conduct market analysis and monitor portfolio metrics. The analysts will provide expertise in decision sciences, a discrete scientific area of using decision analytic methods to facilitate decision management and optimize decision-making and other operations research and management sciences methodologies for designing and enhancing decisions for healthcare delivery. The implementation arm of the President’s Office of Strategic Affairs will be responsible for the prioritization and implementation of the OUR Upstate: One University Road Map Strategic Plan using the balanced scorecard methodology. The strategic planning personnel will educate and create awareness internally and externally about the Tier I Institutional-level strategic plan and facilitate alignment through the development of Tier II (Business Unit) and Tier III (Individuals Performance Plan) with cascading objectives and appropriate measures and initiatives throughout the institution. The Project Managers will act as a liaison amongst work groups, supervisors, colleagues, and leadership regarding projects and strategic planning activities. This will include identifying, measuring, monitoring and reporting metrics and providing project assistance to the strategic initiatives. Additionally, the Implementation Team will integrate new and existing business tools into strategic management process and serve as a subject matter expert for the tool that tracks the balanced scorecard. Last Modified: November 16, 2017. Contact Renee M. DeVesty with questions about the content of this page.